Ever wondered if there was a more attractive, modern way to increase accessibility to wheelchair users? Chair lifts, stair lifts, and wheelchair lifts are bulky and just plain ugly… is there a better way? Of course there is. In order to provide accessibility to wheelchair users in any home or office, why not use a lift that looks great and is accessible by all persons, disabled or not? 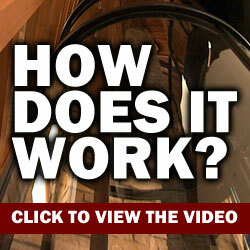 Why not install a vacuum elevator? Here are a few ways in which a vacuum elevator is both accessible and safer for wheelchair users. Trapped – Many who use elevators have a constant worry that they will become stuck if the power goes out. This fear can be magnified for someone in a wheelchair. This is one of the biggest ways in which a vacuum elevator provides safe accessibility to wheelchair users. Traditional elevators will stop working when the power goes out; however, vacuum elevators will continue to function after power ceases to work. How? Vacuum elevators are powered by air pressure, so if the power happens to go out while a wheelchair user is riding in the elevator, air pressure will slowly and safely equalize causing the car to gently descend to the bottom floor. Once the car reaches the bottom floor, the passenger can safely exit the vacuum elevator. Safety is always a number one priority, especially when it comes to wheelchair users. So, if increased accessibility is something you're looking for, why not choose the safest option? 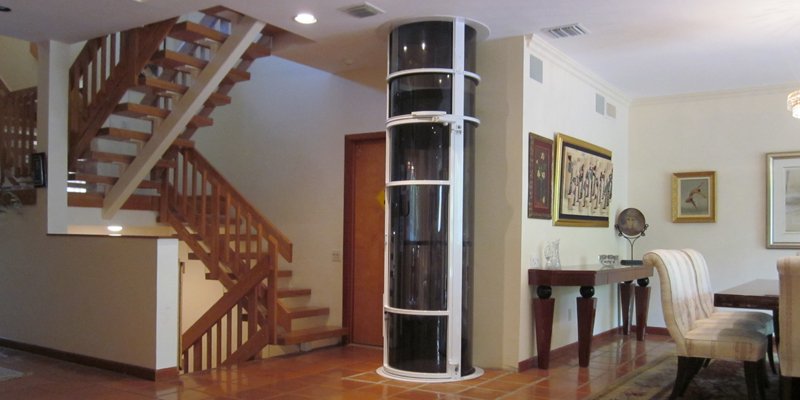 Modern Look – Wheelchair lifts are bulky, and stair lifts look so, well, outdated. If increased accessibility is something you need without sacrificing style, then a vacuum wheelchair is for you. Here is why. 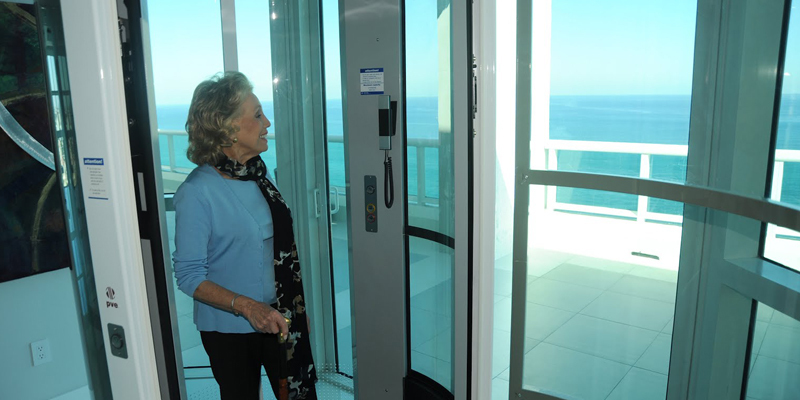 Vacuum elevators are modern and beautiful inside and out. Each ride provides the rider with a 360-degree view of the home or office building. From the outside, the vacuum elevator is both classy and futuristic. On the inside, the rider gets a breathtaking view and doesn't have to worry about battling claustrophobia. For the stylish home or office building, the vacuum elevator is the best option when it comes to increasing wheelchair accessibility. Wheelchair accessibility can be gained through the use of traditional elevators, wheelchair lifts, stair lifts, and vacuum elevators. However, if you're looking for an option that is incredibly safe, stylish, and beautiful, then the latter choice is one that should be considered by all elevator installers and homeowners.